My visit was great!! My tooth was giving me a lot of pain for the last couple of days and Icalled the office and they took me in rigth away. Dr Kim had the best chairside manners. My visit was great!! My tooth was giving me a lot of pain for the last couple of days and I called the office and they took me in rigth away.Dr Kim had the best chairside manners. Dr Kim was very professional & his chairside manners was excellent. He made me feel welcomed to his office & alsoexplained my treatment. He really cares about the patient. I will be returning for all my treatment & refer all my co-workers & family. Dr Kim was very professional & his chairside manners was excellent. He made me feel welcomed to his office & also explained my treatment. He really cares about the patient. Iwill be returning for all my treatment & refer all my co-workers & family. Serving the community of Houston, TX, Dr. Francisco Kim is a cosmetic dentist and dental pain specialist. He obtained his medical degree from the University of Puerto Rico and completed an additional training in dental technology at Los Angeles City College. 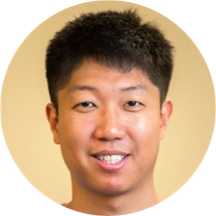 Dr. Kim is currently practicing at Jefferson Dental Clinics. As a multilingual communicator who can converse in English and Spanish, it makes him skilled in building and strengthening relationships with diverse populations. During his consultations, Dr. Kim explains patients’ conditions and helps them choose an appropriate treatment plan. He believes in listening to each patient and creating a partnership to maintain and improve lifelong health. I came to Jefferson to get a tooth taken out. I was very nervous so the doctor gave me time to calm down when he came back it took less than 5 min. The assistant gave me a pep talk asoften as I needed with a smile. They also offer great cash options. I will go back for sure. Amazing service and awesome support staff. I had days of work done and was very new to the areas. I was in pain and they were able to see me the same day. The staff was professional and friendly. The doctorand manager were great. Exceptional visit and great team. Office is also very nice. Stellar service. I had the best experience today! The front staff was great. They went above and beyond to provide exceptional service and to make sure that I knew all that was going on and that I was comfortable through the process. Thedentist was great and truly cares about the patients. I initially planned on just going to this office for a cleaning before the end of the day, and will now be a regular patient. Came here for a third opinion, and will be a regular patient. Staff was pleasent. Nice and professional. He had no problem talking to me and explaining what was going on. Not just how he wants to pull or drill likeprevious dentists. I left very educated. Every employee who I spoke to had a great attitude. This office and Dr. Kim had my best interest in mind. I was shown all options and what worked with my finances. Loved the entire visit. Great staff and open Saturdays! Always very friendly from the time I walk in until I leave. Check them out. They take my insurance and helped w/ payment plans. Office was clean and I was seen quickly.